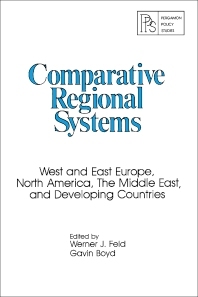 Comparative Regional Systems: West and East Europe, North America, The Middle East, and Developing Countries examines the diplomatic relationship between countries that are in the same region. The title analyzes the issues that cause cooperative and aggressive behavior in a region. The text presents the comparative study of international regions, and then proceeds to discussing social-psychological factors in regional politic and the regional patterns of economic cooperation. Next, the selection studies a specific international region, such as Europe, North America, Asia, Africa, and Latin America. The text also deals with political change in regional systems; the patterns of transregional relations; and regional organization and the global system. The book will be of great interest to economists, political scientists, sociologists, and behavioral scientists.